Only the finest top grain leather go into our MIG/TIG welding options. 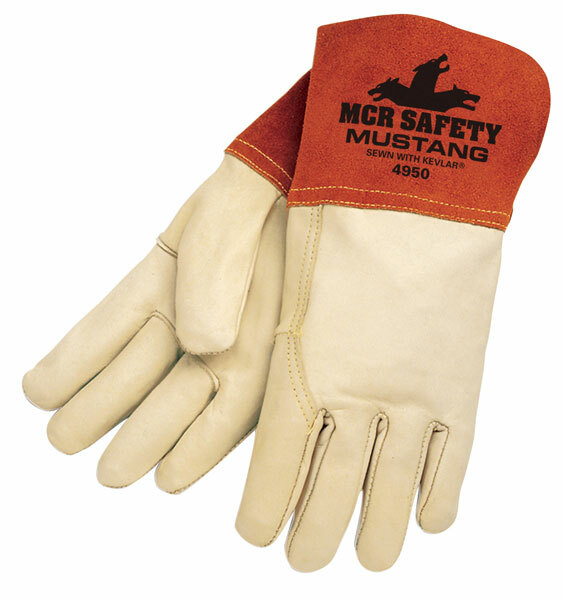 Sewn with DuPont™ Kevlar® thread to resist sparks and sharp metals which can unravel most gloves, you will find these gloves a great long-term value. Low heat welding often requires optimal dexterity which affords great attention to detail. You'll find features on the 4950 include Premium grade cream grain cow leather, 4.5" russet split gauntlet cuff and wing thumb.